Terrain Dirt road till the road head, steep wet trail to the vertical bog. Difficulty Moderate to High. You need to be reasonably fit to do this all day hike. 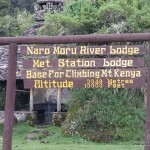 That’s right; you can go for a day hike on Mt Kenya, and be back in Nairobi the same day. 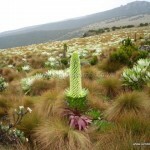 As the highest mountain in Kenya and the second highest in Africa at 5199m above sea level (asl), this mountain is a favourite with both local and foreign hikers and climbers drawn by its snow capped peaks, breathtaking scenery, and the challenge of the climb. Typical durations for doing climbs are 3 to 5 days for those aiming for the peaks. However, the areas around the mountain base can also provide a rewarding experience for those with limited time to visit. 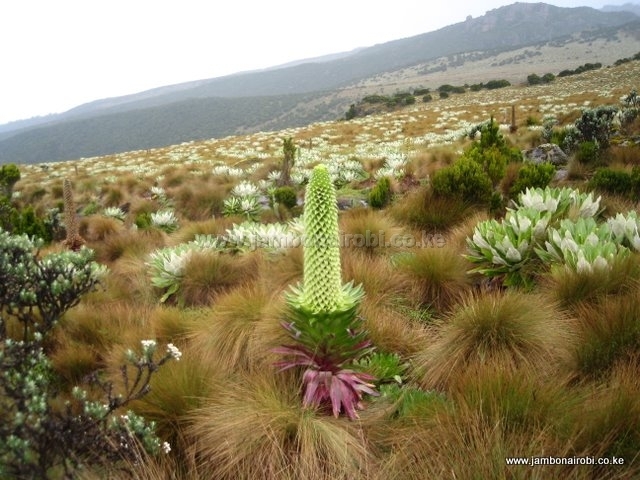 Mt Kenya is a National Park teeming with a variety of wildlife such as buffaloes, elephants, black leopards, lions, hyenas, various species of antelopes, monkeys, birds, and hyraxes among others. 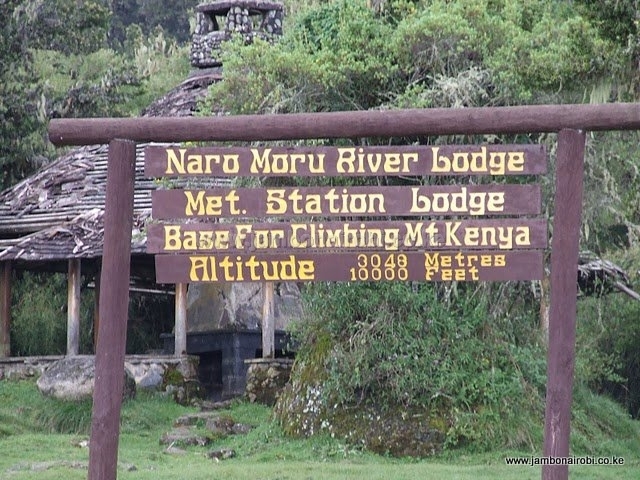 Out of the three popular routes up the mountain, the Naro Moru route is the closest to Nairobi, with the Naro Moru Park Gate situated about 175km from Nairobi and 15km from Naro Moru town. 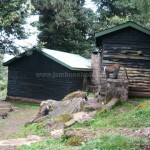 It is therefore the natural choice for a day hike if you are coming from Nairobi. After starting from the Park Gate at 2400m asl, follow the motorable dirt road that takes you through the tropical forest zone followed by the bamboo zone for 9km till Met Station at 3050m asl. Along the way, you are likely to encounter troops of Colobus monkeys commonly found in the forest zone. 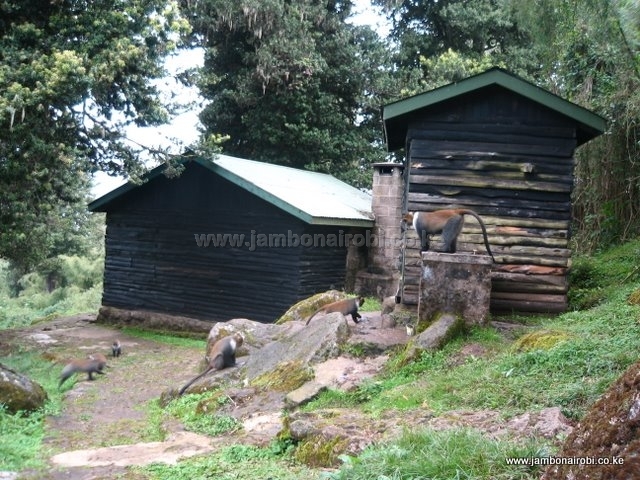 Other wildlife to watch out for includes Elephants and Buffaloes, commonly found in both the forest and bamboo zones. About 2hrs into the hike, you’ll cross Percival’s Bridge, after which the climb gets steeper and the road starts contouring sharply. A further 90min on and you’ll reach Met Station. If you still have the energy to continue, you’ll reach the road head a further 1hr from Met Station. There’s a radio repeater station powered by a loud diesel generator at this location. From here, you’ll follow a steep narrow path that takes you to the forest edge and the start of the vertical bog after another 1hr climbing. This is the start of the alpine zone, marked by unique vegetation consisting of giant heather, lobelia, senecio, tussock grass among others. It may take you roughly 6hrs for the round trip to Met Station, if you are fit and carrying light. Going to the forest edge where the vertical bog starts may take another 2 hrs. If using public means, take Naro Moru matatus from their Tea Room Stage at the junction of Accra Rd and River Rd. They charge about Kshs 250 one way. 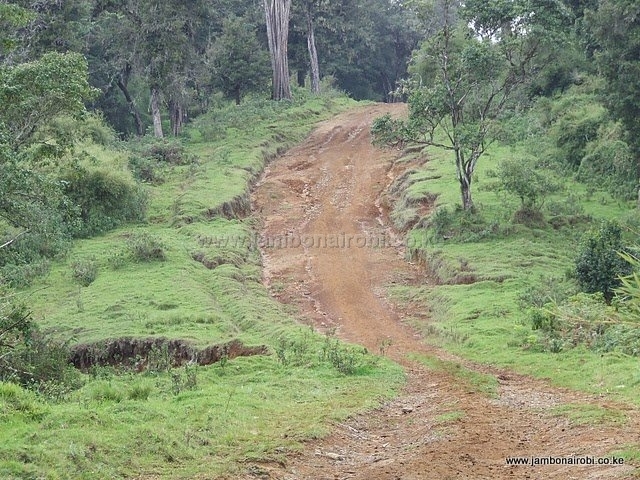 At Naro Moru, take matatus for Kiambuthia, a settlement about 3km from the Park Gate. You may then need to negotiate with the matatu to be dropped right at the Park Gate, and pick you afterwards. The matatu charge here is about Ksh 50 one way. If driving, use Thika Road and go all the way to Karatina town. A further 12.5km on towards Nyeri, turn right onto the signposted road to Nanyuki, and drive till Naro Moru town. 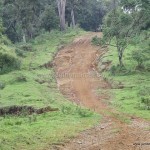 Take a right turn on to the signposted road to Mt Kenya. Keep following the signs for 15km till the Naro Moru Park Gate. Here are the latest Park entry fees for getting into this National Park. For further details, visit the Kenya Wildlife Service website.